CNS Dental (Arlington) - Book Appointment Online! At CNS Dental you are treated like family and all of your dental needs are provided for in a relaxing and inviting atmosphere. You’ll be amazed at what CNS Dental can do to improve your smile and boost your confidence. Dr. Cara Schantz and her practice staff specialize in general oral care, cosmetic dentistry, pain-free dentistry, and Invisalign. CNS Dental also speaks Spanish and Arabic, so please don't hesitate to contact us today! We are dedicated to comprehensive care for patients of all ages. We realize that for some, going to the dentist is not something you look forward to. Perhaps in the past, a dental visit resulted in anxiety or you were embarrassed due to dental issues. 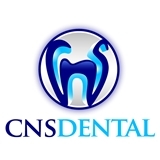 CNS Dental strives to create a positive experience for you from the first time you call. In fact, we hope to transform your impression of visiting a dentist while we work together to transform your smile. His team was great from the reception staff to the dental hygienist!